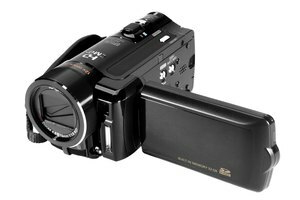 Can a Camcorder Be Used As a Web Cam? You can tuck a laptop server into the corner of your office or bedroom. "Server" is a fairly broad term, referring to a device on a network that manages other resources. When setting up a laptop as a server, you have several options. You can use it as a file and media server using tools native to Windows. You can also install a specific server operating system to create a customizable Web or gaming server. To share files from your laptop to other computers running Windows 7 or Windows 8 on your home network, run the setup wizard for HomeGroup on your laptop. This allows you to share and manage your laptop's files from other computers. If you want to stream media, open up Windows Media Player on the laptop, click the "Stream" button and choose both "Allow Remote Control of My Player” and “Automatically Allow Devices to Play My Media." You will also need to click "More Streaming Options" to choose which computers can stream media from your server. Apache is one of the most popular Web server management tools available; it powers most of the websites on the Internet and has an array of add-on features available. Another solution is Ngnix, which is the second-most used tool on the Internet. The benefit to using Apache is that you can install it on your Windows machine and continue to run your regular Windows programs while also serving websites over the Internet. However, allowing Internet access to a computer that also stores personal files presents a perhaps unnecessary vulnerability. For better security when running a Web server, consider installing a Linux-based operating system for a server, such as Ubuntu Server. This requires a lot of configuration and has a learning curve, but the Ubuntu server edition is free and has a large community of both official and user-based support. Whether you're streaming within your home or accessing your home files from the office, you need network equipment that can keep up with the task. If possible, connect your laptop to the Internet via Ethernet cable. 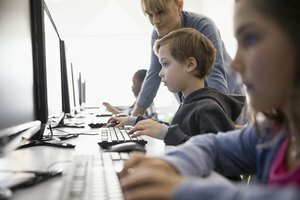 If you intend to use your laptop as a Web or gaming server, make sure that your home Internet connection is up to the task; slow speeds can cripple a Web server, and exceeding data limits is costly. You will need a static IP for the task, which usually comes with business-class plans. Place your laptop-turned-server in a location where it has plenty of airflow and isn't likely to overheat; laptops are notorious for their lack of proper airflow, and servers get hot due to constant use. 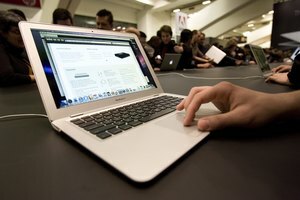 Running your laptop 24-7 as a server will add an additional cost to your electric bill, and if you exceed data caps, it can add to your Internet bill as well. If your laptop has low resources, such as processing speed and RAM, it may not be well-suited to act as a server. Poland, Ashley. "How to Turn a Laptop Into a Server." Synonym, https://classroom.synonym.com/turn-laptop-server-13962.html. Accessed 20 April 2019. What Is the Primary Difference Between Peer-to-Peer & Client-Server Architectures?